Our Falcons left no doubt about who owns Class 2A football. Join the Red Army by showing your pride in our team. 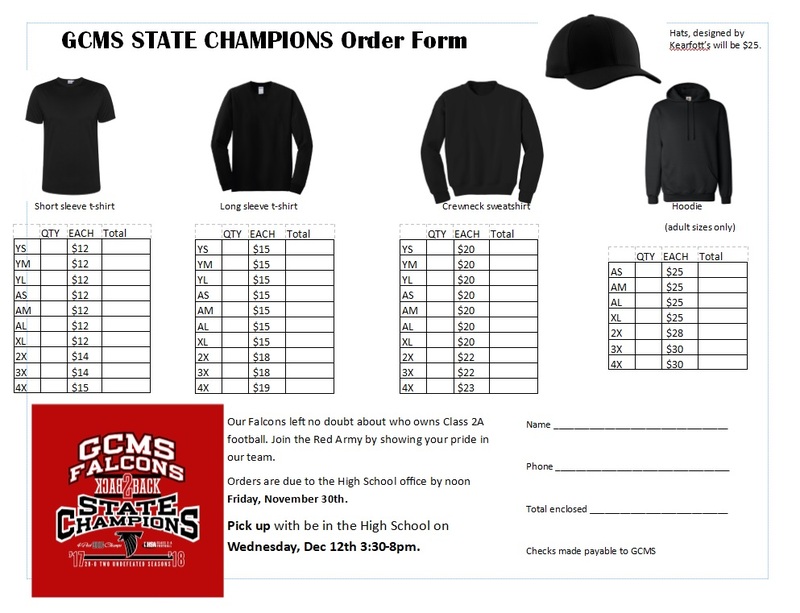 Orders are due to the High School office by noon Friday, November 30th. Pick up will be in the High School on Wednesday, Dec 12th 3:30-8pm.